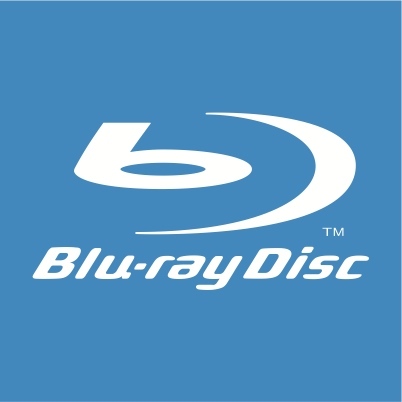 Are you still on the Blu-ray Disk bandwagon, or have you moved on? I’ve got five reasons to stick around. Not so long ago, I was the proud owner of a new Samsung Blu-ray Disk player. I immediately repurchased a few of my favorite sc-fi blockbusters and marveled at the magnificent imagery of this HD-enabling device. My home entertainment center was worthy, again. I looked ahead to the gleaming age of HD video with Blu-ray Disks for my 42” Panasonic Plasma TV. HD video is so yesterday. Now, it’s 3D that’s the bomb. Yes, Blu-ray Disk sales are still strong. In fact, 2011 was a banner year with sales up 20%. But digital delivery rose 51% over the same period. Don’t look now, Blu-ray, but your days on top may be numbered. Is it just a matter of time until HD streaming technologies take the lead? So where does this leave you and me? Time to abandon Blu-ray? I hardly knew you. All I know is my movie collection is a train wreck. Blu-ray tech shows off a stunning picture. So I’ve pledged to never go back and buy a standard DVD ever again. That would be sacrilege! But the premium pricing of Blu-ray Disks never came down that much from their original sticker shock levels. Plunking down $20-$30 to watch a movie in today’s enlightened media landscape is somewhat extravagant. No? And can I mention how annoying it is to wait for a Blu-ray Disk to load? So, needless to say, my Blu-ray Disk collection has not flourished. Of course, I’ve been ordering all my Netflix red envelope movies to arrive wearing Blu-ray stripes. That strategy quickly became a problem a couple years back when my home theater started growing cobwebs. Remember, I am a proud parent of a toddler. I became a mobile media warrior on Metro North. Well I thought I would be very clever. So I jumped down the rabbit hole. You might ask who in their right mind would spend big money on a tiny screen for watching HD video with a platform that moved at the speed of glue? I think there were three of us. You must understand I had no other choice, right? I had over-technoligized myself into a corner. How was I otherwise going to watch my precious movies? I really got the Blu-ray Blues. Look, the facts don’t lie. Let me add to the weight and throw a few more rocks onto the future of Blu-ray tech. Apple never put the darn drives into their computers. I’ve already got HD streaming via Apple TV and Roku. So why not just chuck Blu-ray and move to a higher plane with all streaming? Well, it turns out there is actually something to the Blu-ray value prop. One big reason I will buy a Blu-ray Disk is if it comes with the digital version. If you shop smart, you’ll often find a version packaged with a digital copy you can pop right on your mobile phone. Nice. I know this has marketing ooze all over it, but it works. It’s over, baby. Thanks for the memories. You can hang around a while longer, but please leave the keys on the way out. I’m still stuck on the idea of having a physical object to put on my shelf. I know. It’s an analog vestige I’ll grow out of some day. So where does all this leave us in the HD game? Though this feels like another tech poker tournament, the reality is Blu-Ray Disks aren’t joining their HD DVD cousins and Betamax ancestors any time soon. While you’ve got your Blu-ray Blues, at least you’ll be viewing them in the full color spectrum of awesome high definition.